At Vitra, we believe that people’s thoughts and feelings are strongly influenced by their physical environment – whether at home, at work or travelling. We work every day to improve interiors through the power of good design. ... are a family-owned company with a history reaching back more than 80 years. ... bring together the company&apos;s commercial and cultural activities on the Vitra Campus. The Vitra Campus is both an authentic production site and an experimental ground for design and architecture – a unique workplace for our employees. ... are globally active, offering employees an intercultural working environment. 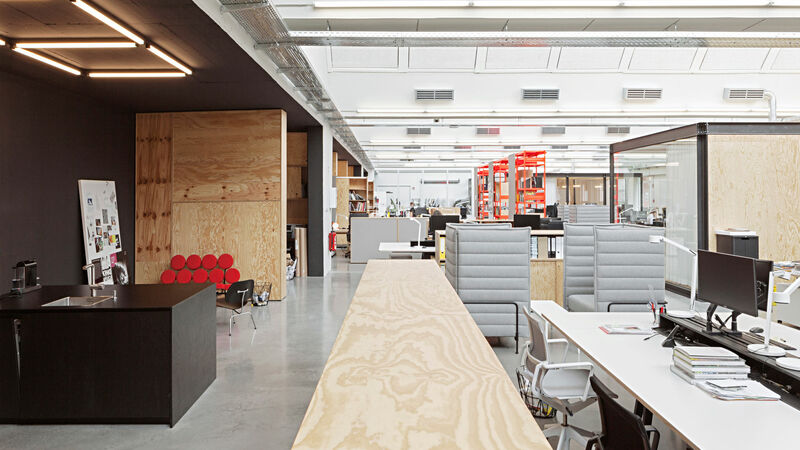 Vitra is a Swiss company with over 20 offices across the globe. Our employees work with colleagues from all over the world on a daily basis. ... are team players and favour a flat hierarchical structure. We value commitment and flexibility. This is why we opt for open and dynamic structures with a flat hierarchy. ... offer an attractive working environment. 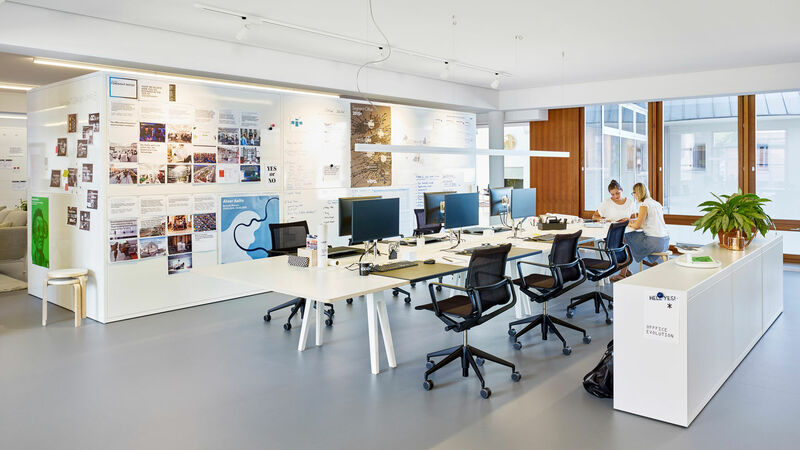 Vitra continuously focuses on new organisational forms and work methods, using our own offices as test laboratories for innovative ideas and concepts – where design meets everyday needs. The interior furnishings of our offices reflect our ideas for an inspirational workplace. ... create opportunities for personal fulfilment. At Vitra, regular meetings with managers put a focus on individual performance, teamwork skills and personal development options. The aim is to identify opportunities, further develop talents and find solutions to problems. Vitra offers comprehensive internal training programmes for employees. Personalised and structured courses enable employees to work more efficiently and successfully handle a wide range of tasks. ... put our trust in modern IT systems. In our global IT landscape, we work with modern, collaborative applications. Using our IT services to increase productivity is a fundamental component of our overall business strategy. … are committed to flexible work schedules. Flexitime arrangements allow Vitra employees to adapt their working hours to their respective tasks and individual situation. This increases productivity in a business world that is increasingly project-oriented, while also making it easier to reconcile career and family. Work models such as the home office make it possible to adapt working hours to personal needs. ... attach great importance to high-quality pension plans. Vitra invests in the future of our employees with a company pension scheme and attractive compensation packages.